Like many others I have found that silicone can make life a bit easier, with baking it is a Godsend. My baking comes out great, tasted wonderful, clean up easy, and I am keeping things out of the dumps. I really like the bright colors much better then the plan red sets others had years ago. I have a lot of girls so they like girly colors and Sunsella does that for us. 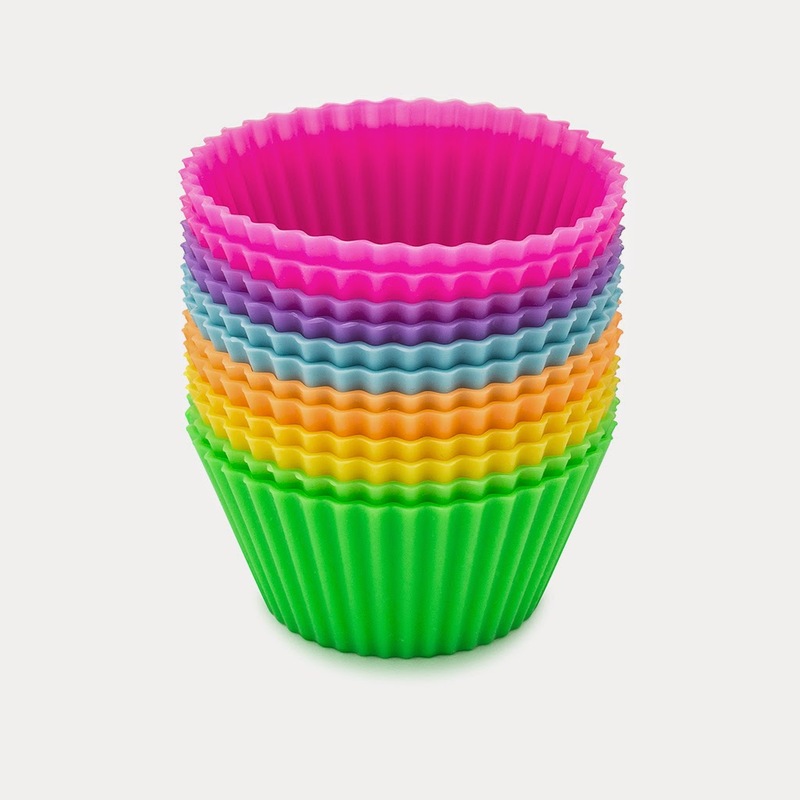 Enjoy your baked goods and reuse your baking cups over and over again. A little thing we do is put the oven on 250 and take broken crayons and put them in the cups about 1/3 of the way up and put in the over until just melted, We then take them out let them cool completely, pop them out once cooled and your children have multi colored crayons or you could use the same colors. You can purchase the Sunsella Silicone baking cups on Amazon. Use for 20% discount 20% off coupon code 'JJORSB8D'* subject to change at any time.